Generate energy and living off the grid. Energy bills are loathed by many South Africans and if they could, most would live off the grid to avoid them. Living off the grid is a dream for many but in reality, anyone can generate energy and live off the grid or at the very least minimise energy use. There are two sides to living off the grid, the first is to be entirely self-sufficient and the second is to use less energy, even self-generated energy. Using less power and making some changes in energy use is the way to begin a journey toward living off the grid. Even when generating energy using less of it makes sense and can save costs when moving to the new energy source or sources. 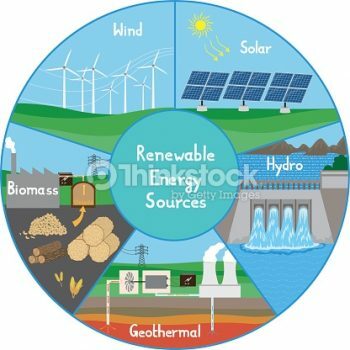 To become energy self-sufficient there are primarily three sources of renewable energy. Used fully, in part or together with another each source of energy requires planning before jumping in and installing. DIY installation is possible but professional installation delivers better results. The most obvious energy source for South Africans is solar power. All over the world, solar panels generate free electricity. The technology is more efficient today than it was in the past and solar panels of all sizes are now available. The smallest panels or cells are found in technologies such as calculators and the largest are found in commercial solar farms that supply power to the grid. With plenty of sunshine all year round, solar panels are an effective power generation method suitable for most homes. Planning is important as installing a solar power generating solution is costly and when used to take a property off the grid entirely professional assistance and advice is essential. With solar panels, it is not just a matter of placing a panel or two on the roof of a building and pointing it or them skyward. A complex arrangement of cabling, inverters, and batteries form part of the system. Knowing the amount of power needed by the property will help determine the system requirements. A home energy audit will provide the information required to install an efficient solar energy solution that works. Producing energy is one thing, storing, using and even offloading it to other properties is what matters most. A well-planned solar energy solution can provide energy for more than one property and it is not unusual to see shared power systems in use. Nature is a superb source of energy and as the sun that begs to be used the wind that many people curse is equally demanding the same. Wind turbines and wind farms have appeared all over South Africa and are highly efficient energy sources. Using the wind to turn a propeller geared to turn other components wind turbines or windmills have powered machines and provided energy for centuries. Windmills turning grindstones were once in use all over the world and their efficiency and reliability are the reason many are still in use today. The same power to make flour is used to create the energy of another kind today. Even the smallest of wind turbines can produce electricity. Schoolchildren are given projects to make a windmill that powers a fan or a light bulb as the technology is remarkably simple. Scaling up to power a home and create energy to live off the grid as possible and as with solar, it requires some thought. Wind energy is reliable and efficient, however, gusting wind can create issues, with expert advice this is overcome. Wind turbines may look peaceful but in reality, they are noisy energy producers. Creating energy from wind turbines does require a little more real estate than solar panels, especially if the wind is the primary or sole energy source. In some cases, planning permission is required to erect wind turbines. Any yachtsman, person who has a caravan or someone with a remote cabin will appreciate wind power for powering appliances such as TVs and Fridges or just charging a mobile phone. Supplementary or complementary use of wind power is common as part of a balanced energy solution by those living off the grid. Wind power is costly to install, however, the returns on producing clean, free electricity soon becomes clear. Understanding the amount of energy consumed is also beneficial and leads to optimal power generation. Wind and the sunshine are the obvious natural power generators and most popular. There is a third solution available and is one that used by some of the largest power stations in the world. Kinetic energy from flowing water generates power efficiently. And the power stations using this are among the most spectacular in the world. The Hoover dam is one of the most recognizable power stations in the world. And the same principles of energy production apply to micro-hydro systems for home use. Few homes can build a dam on the scale of the Hoover but flowing or falling water diverted through a micro-hydro system is possible. Despite being extremely efficient micro-hydro energy use is not common in South Africa. There are some concerns about the effects of diverting rivers for power generation and more recently, drought conditions have seen many rivers dry up. Some farmers have embraced the technology and it is especially convenient in areas that are more rural. Obtaining professional advice before installing a micro-hydro energy solution is recommended. Going off the grid is more than just generating one’s own power. 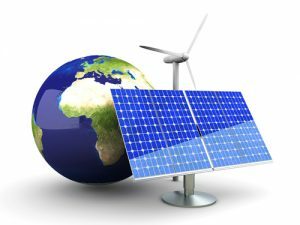 Power production does have a cost and that cost in often in the installation of the renewable system or systems installed. Energy efficiency applies as much to living off the grid as living on it. When planning to live off the grid the first step is to become more energy efficient. Putting greater demands on a solar, wind or water powered home requires more investment in the energy generation system. It, therefore, makes sense to make a property or home more efficient, greener if you like, as part of generating power to live off the grid. Creating energy and living off the grid is a process, not an overnight thing. Water heating is the most energy-consuming task in almost every home. Heating water and keeping it warm accounts for up to 40% of most energy bills. A combination of solar-powered geysers and good insulation reduces the demand and use of electricity considerably. A solar-powered geyser separate to the main solar or self-generated power supply brings efficiency to the system. Insulation of the geyser and hot water pipes further reduces energy consumption and is relatively inexpensive. Water can also be heated by wood-burning appliances bringing home heating and cooking options along with it. Planning and thinking outside the box bring further energy generation and energy saving concepts together. Wood burning stoves and fireplaces are more environmentally friendly and are efficient in providing heat for an entire home. Considering add-ons to solar, wind and hydropower generation enables small steps to be made toward heading fully off the grid. Small additional concepts bring cost savings that can be put toward purchasing the main power generation systems. Cooking is another area where power is used in large quantities. Taking the pressure off an alternative power supply is important and electric ovens and hobs are one area where this can be achieved. Gas is one option or even using a wood-fired stove but solar cooking is also possible. Having appliances in your home that useless, little or no energy will save costs overall. Gas is a very viable option to living off the grid but it still has a cost. The cost of cooking and the amount of energy used can be reduced completely. 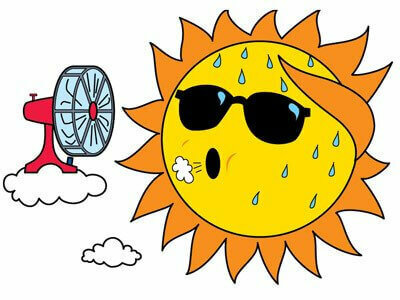 In fact purchasing or building a simple solar oven will do the trick. These ovens using nothing but the sunshine to cook with work well. If true off the grid living is desired these are the ideal solution. Lighting is an area where electricity use is high and planning saves power and money. Candles, of course, eliminate the need for power and solar powered lamps are commonplace. Candles and solar lamps can be used but they are impractical for lighting a home to an acceptable level. LED lighting is the solution. Despite being more expensive than conventional energy-saving light bulbs, savings arise through low energy use and a long lifespan. LED globes are 75% more efficient than other forms of household lighting and last considerably longer. Installing LED lighting saves energy and reduces utility bills that again allow a household to save toward a power generating system. LED lighting on an alternative energy supply reduces pressure on the system and improves efficiency. Diverting or reducing energy use from self-generated power supplies increases reliability. And allows better energy use where it is needed most. With the three of main areas of home energy use covered creating energy and living off the grid soon becomes a reality. The final area where planning pays off when installing alternative energy is heating and cooling. Keeping a home comfortable all year round uses large amounts energy and there is a simple, cost-effective and proven way to improve this. Insulation may not sound like a way to generate energy and live off the grid and It is not. However, insulation is an investment that delivers substantial returns and drives energy efficiency to vastly improved levels. Insulation reduces demand on heating and cooling appliances for a start and it is here that the cost savings arise. An insulated home is comfortable all year round. And the reduced energy requirements can reduce the capital outlay on power generation. An insulated home also Increases in value. 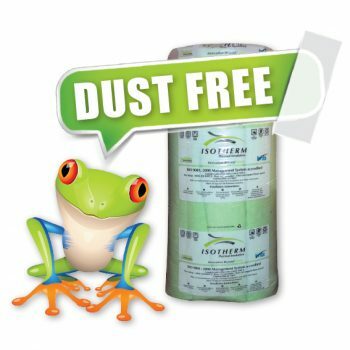 On use the best roof insulation products. We suggest the Isotherm Insulation and the correct thickness is 145mm Isotherm. However be sure to read the Isotherm Specifications Page to select the correct roof insulation. Careful and intentional planning makes living off the grid an obtainable goal. Going green and saving energy is the responsibility of every household. Bringing households together and working toward a common goal of creating energy and living off the grid has many advantages. Not just rural farmhouses or holiday homes are restricted to creating their own energy. Living off the grid, homes in the town and city can do the same. 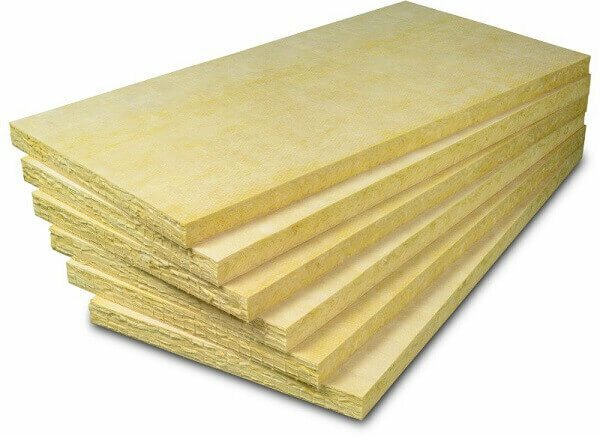 There are many types of roof insulation on the market. However, the Rolls-Royce is undoubtedly the Isotherm 145mm. Security complexes in South Africa are popular places to live and governing bodies and property owners can take entire developments off the grid. Shared energy and water saving projects are common and the cost savings when shared are considerable. Creating energy and living off the grid often generates excess power. It is difficult, if not impossible, to send this excess back into the grid and much therefore goes to waste. More social lifestyles when it comes to energy use make sense. Wasted energy is utilized and more people benefit in more ways. The biggest hurdle for many homes when wanting to live off the grid is cost. Sharing the cost and combining rebates makes absolute sense. In shared power generation projects efficiencies are increased. Solar panels have more sky to soak up installing solar-powered cameras is possible in and all homes. They can equally be better insulated – this means all properties improve in value too. Creating energy and living off the grid is not some new age hippy thing. It is something that is and must further become the norm. Costs will come down, technology will improve and a greater and greener legacy will be created. Important for our children and children’s children. Living off the grid starts by thinking green and saving energy, every home can do that. Painful energy bills become a thing of the past and other savings and benefits soon materialize.